A couple of months ago one of my friends posted her review on her first outfit from Ellie. I had never heard of the brand, but the photos of her super cute, new workout outfit caught my attention. And seeing as I have a couple of sports bras that need to be retired (they are no longer … ahem … doing their job) and my favorite pair of run tights has succumbed to that smell that never seems to wash away, I decided to give it a whirl. You can buy single pieces from their line at the retail price. However, their Fit Fashionista Club membership allows you to choose any two pieces each month for only $49.95. Just think of Birchbox for running clothes. At the start of every month, members receive an email letting them know the new line is available. 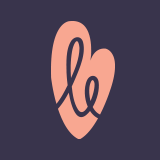 Members can either choose their two pieces or do nothing and receive the two pieces that Ellie choses for them based on their user profile (and be charged $49.95), or they can skip the month (and not be charged anything). Since I placed my order on February 22nd, I made sure to request to skip the month of March so that I could review the quality for myself before ordering anything else. Although the website said the pieces usually ship between 5 to 7 days, my delivery took closer to a month. Certainly it was a bad first impression, but I was willing to overlook it if the clothes were good enough. 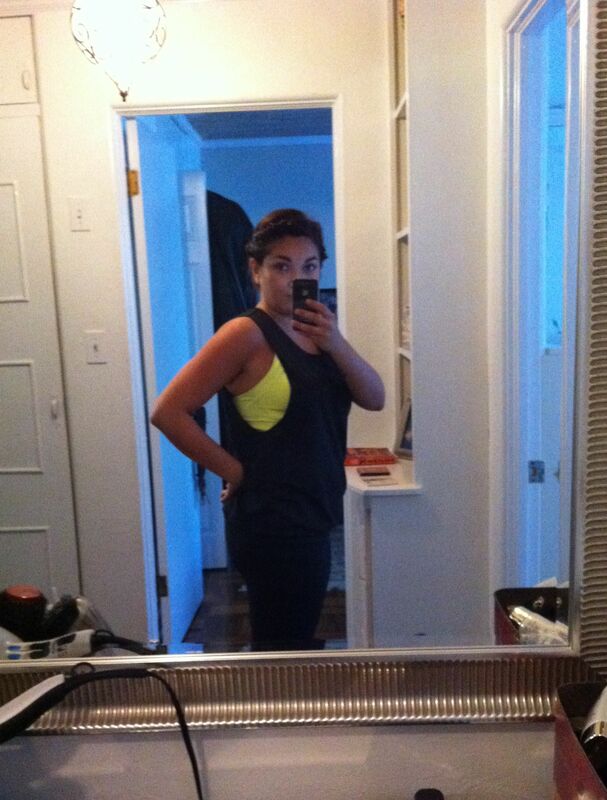 When I got my new workout clothes I tried them on immediately and was impressed. I loved the shirt and knew the open back would be much loved during my hot summer runs.The pants felt soft to the touch, yet a little itchy when I slipped them on. The fit was flattering so I was pleased with that. I made sure to bend and twist every which way to see if they were see-through and jumped up and down to see if they fell off. The tights passed both tests. I thought this was the beginning of a long friendship. The next morning I was scheduled to run five miles and decided to take my new tights out for a spin. It was too cold for the top so I set it aside for another day. Only a couple minutes into my run, I found the first major problem with my tights: they were falling off so badly that the crotch of my pants dropped 2 or so inches from where they should’ve been. I yanked them up and told my running partner that we might have to cut our run short. A minute later I confirmed that we would have to cut our run short. These tights that seemingly fit me perfect the night before were now falling off of me as a ran. We managed to finish our run without my tights falling to my ankles, but it was no easy fete. Afterwards I joked that they would have to become yoga pants. That is until I got home. When I got home I glanced in the mirror and noticed a giant sweat mark in the crotch of my pants. I gasped. Seriously… Really? My running pants collection is made up of tights from Old Navy, Nike and Lululemon and I had never experienced this with any of those brands! I still can’t believe I walked into Starbucks like that. I can only imagine the nicknames I must have there now. To avoid getting dirty old men from visiting this blog post by searching certain keywords, I will refrain from typing any of them out here. But you get the point. 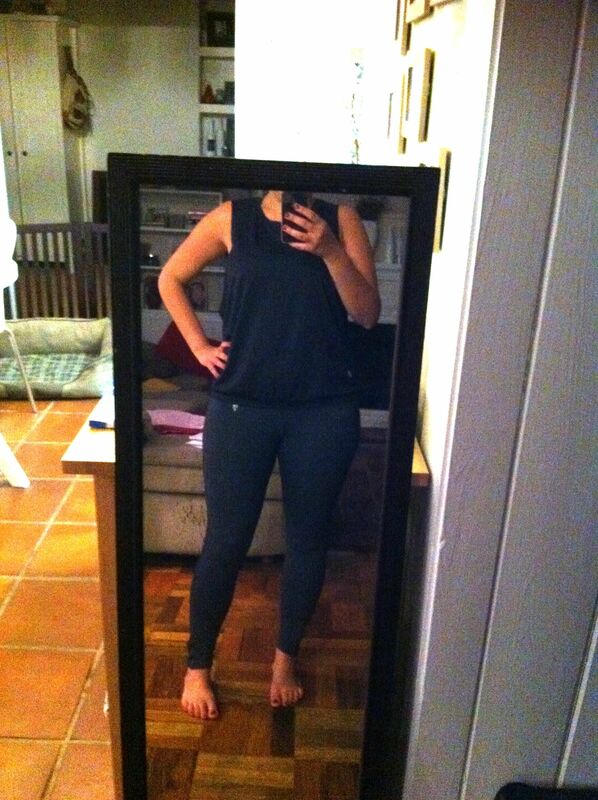 So, the tights were a big, huge giant fail. On the bright side, they are comfy and no longer itchy now that I’ve washed them so I wear them to lounge around the house. But if I was looking for lounge clothes, I would’ve shopped elsewhere. As for the top, it finally warmed up a couple of weekends ago and I took it out for a spin. I noticed that the neckline looked a bit flimsy, but since the top is loose it’s not incredibly noticeable. However, for $34.95 I think Ellie needs to work on the neckline. 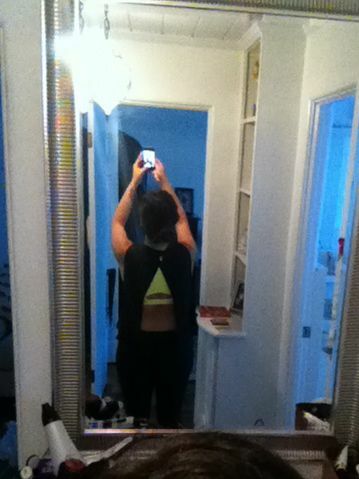 I loved the open back of the top and it was really perfect for Florida running. Plus, I received lots of compliments from the ladies on it. Final verdict: I cancelled my subscription to Ellie. I may one day purchase another top (based on how this one holds up after a few washes), but am not interested on giving their run tights a second chance. And based on the performance of the tights, I also have no interest in their sports bras. It’s a shame. I really wanted to be all BFF with Ellie. But it turns out Ellie is just one of those friends that is always late, exaggerates on their good qualities and only sometimes manages to impress you. Have you tried Ellie? What did you think?